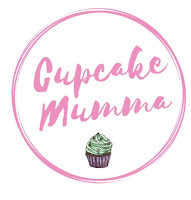 Cupcake Mumma: Last Day ~ A Mix of Emotions! Last Day ~ A Mix of Emotions! Today marked the last day of school for my two. I had to convince Little A that his last day was yesterday because he's come down with a bug which started this morning, poor thing. Midge has had her last day though and had a great time saying goodbye to everyone and watching DVDs. The school have spent 3 weeks doing lots of fun activities with the children which is so nice. I'm very excited for Midge. I felt sad watching her play last week because I realised that would be her last play of KS1, my little girl is growing up and fast. I am excited for her though because she has gained a lot of confidence in this year and I know KS2 will bring lots more opportunities for her to learn and grow in many ways. In the first week back there is an activity day and camping at school. This will be a big deal for Midge, I'm planning on getting her to sleep over at her cousins and my mums house in preparation. Midge has had a great year with really good attendance which would have been perfect if not for those pesky ear aches (must be inherited!) she had several awards for hard work and had a good day at a sports event to build her confidence. She's made more friends and strengthened those ones that have been there for the longest. We have had no problems with Midge, we just want to help build her confidence and help her anxieties, she's very much like I was as a youngster so naturally I'm trying to guide her in fighting what she's afraid of. Little A has also had an amazing year. It has been a long one and often hard, filled with meetings and appointments but we have got to the end and he is a totally different child to the one who started last year. When he started nursery I was often heart broken at not being able to understand my own son. Now we chat all the time and although others can't always understand him I can now translate! Great feeling! The nursery staff have been truly amazing and I will miss them so very much. I feel sad because he had such amazing teachers, the same ones Midge had and there has not been another teacher to match up to their standards so far! He does have a wonderful teacher next year I'm pleased to say. It's also the end of many things. No more nursery, ever. No more morning hot chocolate dates sat with my Little Man and talking, playing and relaxing before popping to the library and then heading to school. No more piggy backs on the way to school in the afternoon (I can't do mum taxi in the mornings!) No more 9.05am train to watch with my train loving buddy. No more spontaneous breakfasts at Spoons. A money saver of course but man will I miss those. Of course we'll make new routines and maybe I'll bring the odd babychino to school at pick up! So yes, a mix of emotions but I know we're heading on a brand new education journey with Midge entering year 3 and starting more in depth work and swimming and Little A starting Reception where he'll start learning to read and write but still have loads of fun! Happy holidays everyone, I'm going to be sharing our summer on the blog and I can't wait to read everyone else's holiday posts too.